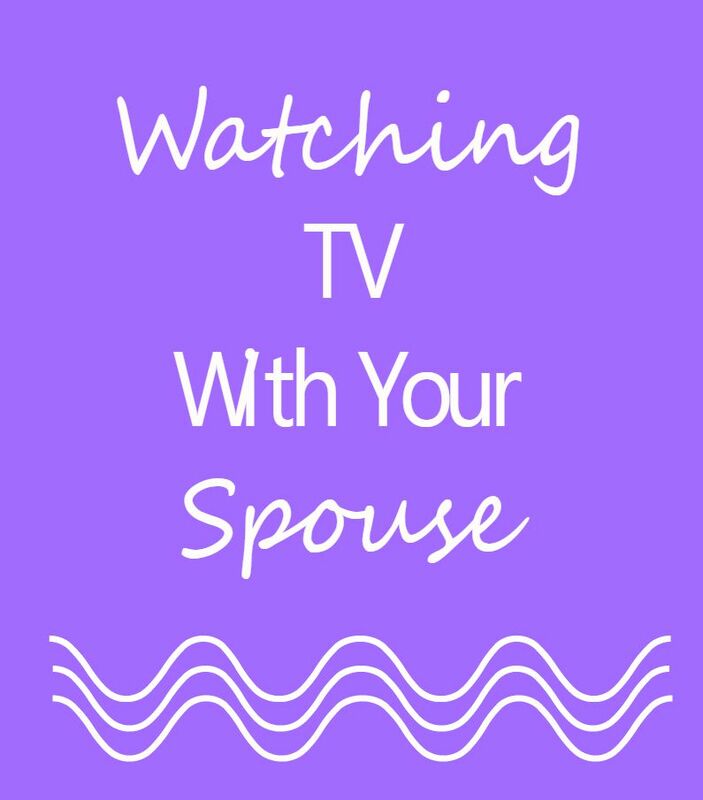 There are a lot of messages out there that tell us to avoid spending too much of our time watching television or using any kind of media when we're spending time with our spouses. I agree--wholeheartedly. When all you do is zone out in front of a screen together--it's really difficult to connect. Zach and I try to keep a balance in our home with how we spend time together, but I'll be honest the scale almost always tips in favor of media time. It's just so easy to sit on the couch and unwind at the end of the day--and it's so enjoyable. We really have to make an effort sometimes to get out of the comfort zone we're in and change up the way we do things. I don't feel guilty about that, though. I've recently come to believe that the time I spend with my husand watching television isn't wasted. Zach and I almost always have similar if not the same favorite and least favorite characters. We make fun of them together, get irritated together, and often times we will make reference to those things outside of time with the TV together. I might refer to myself as a particularly annoying character when I'm doing something. I'll say to Zach, "I'm just gonna be an Emma for a minute and..." It makes for great common ground to reference outside of the time in front of the TV. One of my favorite things to do is to cuddle with Zach. I love it! We have significantly less time to cuddle these days so if I choose to play a game with Zach or discuss our future goals--I miss out on that time. Time in front of the TV allows us to cuddle and spend time together at the same time. It's a two birds with one stone kinda thing! Aside from making fun and finding inside jokes, Zach and I like to talk about the underlying messages that can be found in many of our shows. We tend to gravitate toward shows with messages about good/evil or redemption (we're apparently big on redemption). We like to talk about those messages our thoughts. It's interesting to get my husband's opinion on things--like whether or not he thinks a character really has changed for the better and why. It's similar to reading a book together or discussing a book and we can often have some good conversations about it. Rooting for the Same "Team"
I love feeling like Zach and I are on the same side--since we very often have differing points of view. Whether we both hope the character really has changed, has a happy ending, orsomething else entirely--it's fun to root for the same outcome together. We've recently started watching Master Chef on Hulu. It's really the first reality television show we've ever watched together and I'm loving it! I love having a few of the same favorite contestants and some different favorites. It really makes it fun. It's like watching sports only it's only 40 minutes and they talk about food--much more favorable in my opinion! If you like to spend time with your spouse and a screen, you might enjoy our Couch Potato Date Night or our GIF Date Night (one of my favorites). Do you watch TV with your spouse? How do you feel about it? Most importantly, WHAT DO YOU WATCH?